Disney stickers make the perfect embellishments for all sorts of scrapbooking layouts and our new range is no different. They feature all your favourite characters like Cinderella, Mickey Mouse, Winnie the Pooh, Finding Nemo, Cars, Tinkerbell and more. Personally, I love combining my Disney stickers with photos I have taken at Disneyland or Disney World, but there are so many more things you can do with them. 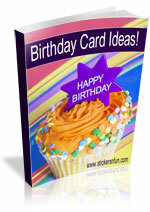 Here are just some of the fabulous ideas I found while looking around EK Success’s official website. This layout uses EK Success’s 3D Tinkerbell Poses stickers to embellish a beautiful photo of a young girl dressed as Tinkerbell. While this photo was taken at Disneyland, the layout could easily be adapted to suit any photos of your kids dressed as their favourite characters. I particularly love how the Tinkerbell stickers have been layered over the swirls and flowers. 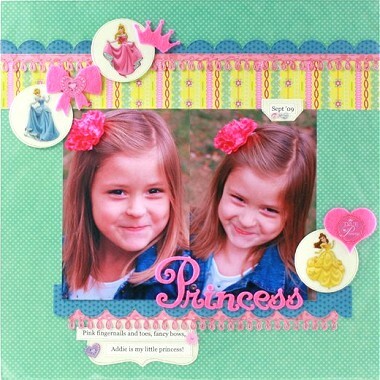 This layout uses Glitter Disney Princesses stickers and shows how you can use stickers of your favourite Disney Princesses to embellish photos of your own little princesses. Also, placing each sticker inside a circle adds a bit of style to your page while still focusing attention on your photos. Disney stickers can also be used to showcase your child’s favourite characters or stars, as in this layout featuring Disney’s Camp Rock and EK Success’s 3D Camp Rock stickers. These are just three of many different ideas for incorporating Disney stickers into your scrapbooking layouts and projects. Choose your favourites and have some fun. I’d love to hear what you think of these Disney stickers ideas. Please leave a comment in the comments box below. 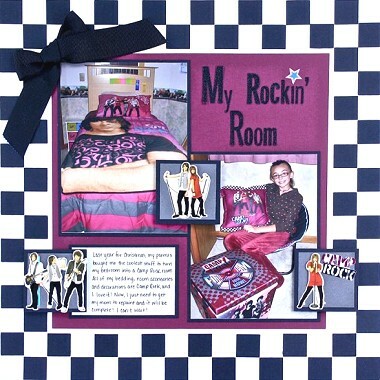 This entry was posted on Sunday, May 15th, 2011 at 11:26 pm	and is filed under Disney, Scrapbooking Stickers. You can follow any responses to this entry through the RSS 2.0 feed. You can leave a response, or trackback from your own site.